Note: Autobiography of Matthew Waterhouse, who played companion Adric during Tom Baker & Peter Davison's time on Doctor Who. Also available as an audio reading. 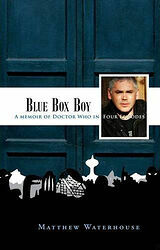 As a boy Matthew Waterhouse loved Doctor Who: he watched all the episodes and read all the novels and comic strips. What starts as a heart-warming story, of a boy growing up with Doctor Who as his trusted friend, engaging the reader memories and nostalgia that will be familiar to any Doctor Who fan, takes a sudden twist when he is thrust into an alien and adult world — cast as Doctor Who's youngest ever travelling companion — for two of the series most inventive seasons. 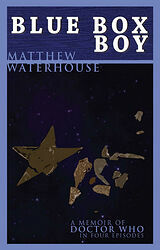 Matthew's sense of wonder with his dream job and his love for the show are palpable; as is his shock at genuine hostilities between cast and crew members and considerable tensions on set, which are counterpointed with poignant reminders that he is just a boy, and still a fan, who finds himself in the absurd, comic world of minor celebrity. 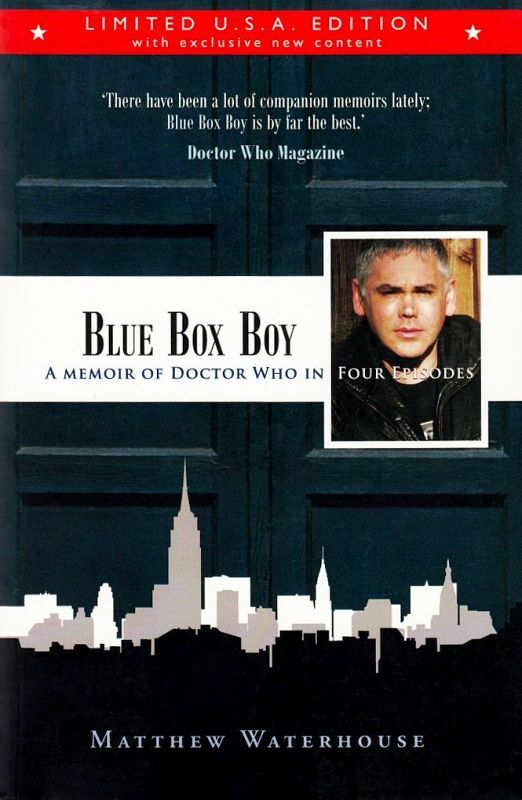 What follows is a story-by-story memoir of his time on the show, peppered with glimpses into Matthew's personal life, tales of conventions, DVD commentaries, and some revealing anecdotes about everyone from fellow actors to Doctor Who's more high-profile fans. This memoir holds nothing back: written with honesty, warmth, a rapier wit and a good dose self-depreciation, the book is essential reading for any Doctor Who fan. Note: Limited edition of 150 signed copies. Note: Limited edition produced specially for the Gallifrey 2011 convention in Los Angeles. 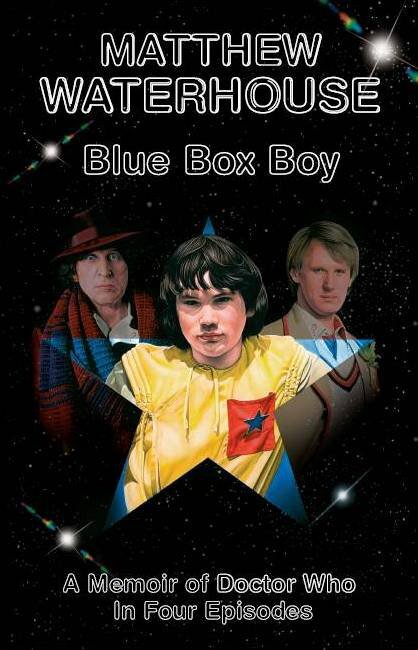 Compared to the previous hardback edition, it has different cover art and an extra feature at the end: "Matthew's Fantasy Desert Island Discs"
AS A BOY, MATTHEW WATERHOUSE LOVED DOCTOR WHO. He watched every episode; read all the novels and comic strips. His life took a sudden twist when he was thrust into an alien and adult world — cast as Doctor Who's youngest ever travelling companion for two of the series' most inventive seasons. 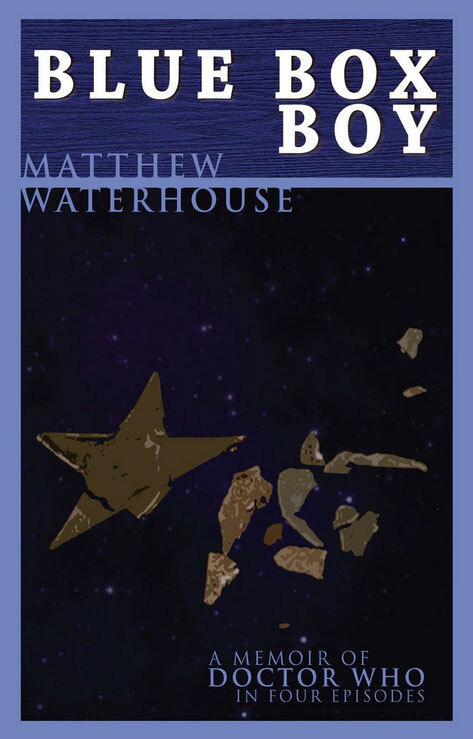 Matthew's sense of wonder at getting his dream job, and his love for the show, are palpable; as is his shock at genuine hostilities between cast and crew members and tensions on set, which are counterpointed with poignant reminders that he is just a boy, and still a fan, who finds himself in the absurd, comic world of minor celebrity. 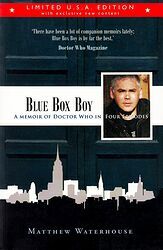 Blue Box Boy is a detailed memoir of Matthew's time on Doctor Who, peppered with glimpses into Matthew's personal life, tales of conventions and DVD commentaries, and some revealing anecdotes about Matthew's co-stars and some of Doctor Who's more high-profile fans. As a memoir it holds nothing back, and it is written with honesty, warmth, wit and self-deprecation. This affectionate and darkly humorous memoir is a record of what it was like to make Doctor Who, and to work for the BBC, in the early 1980s.